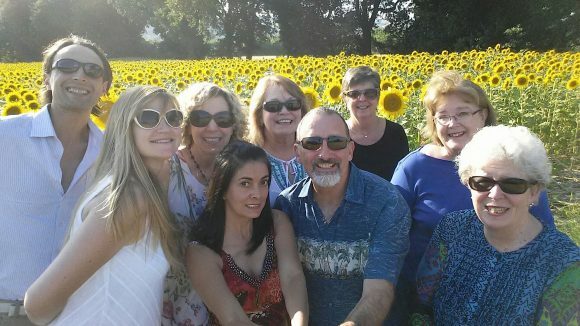 When Nana was in Italy this summer she got to visit a beautiful field of sunflowers. 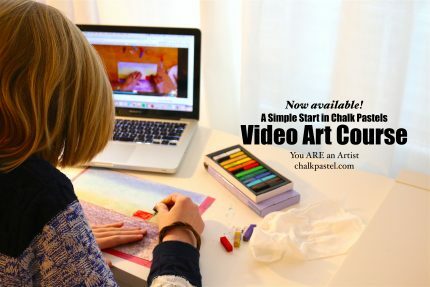 She shares this wonderful memory with you in chalk pastel form. 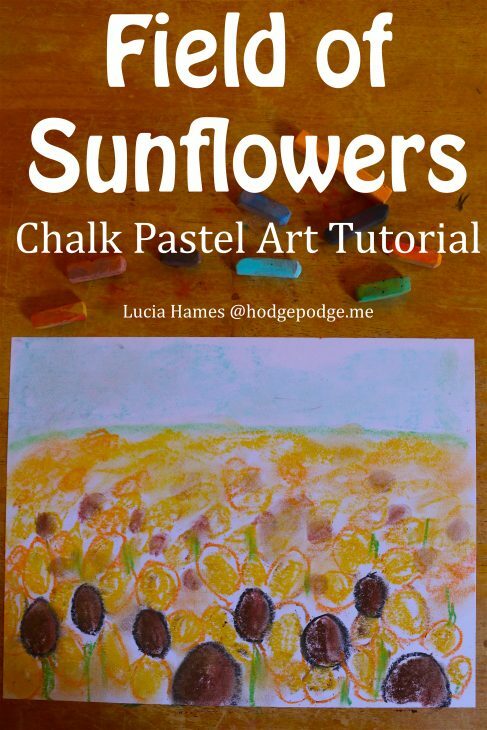 It’s a video field of sunflowers chalk pastel art tutorial for all ages. 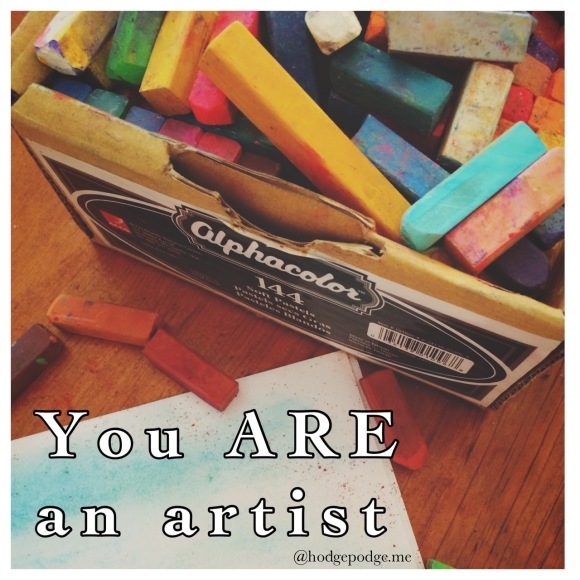 So gather around and enjoy – because you ARE an artist! White paper or another color of your choosing. white, yellow, brown, green, light green and blue chalk pastels. 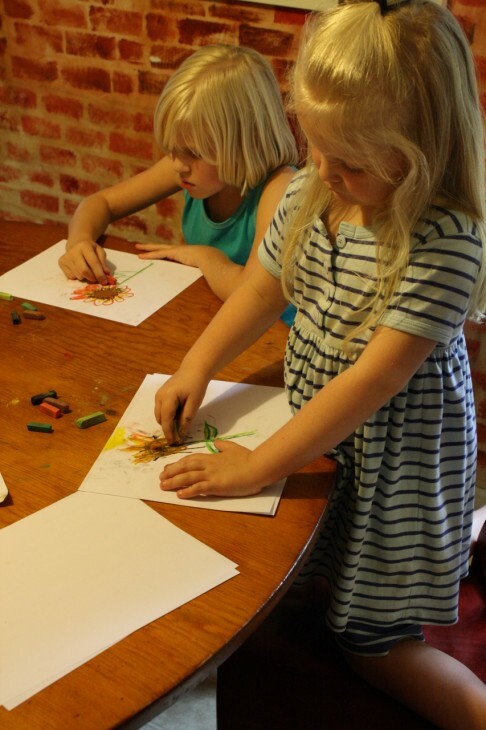 And you might also enjoy Nana’s vase of Sunflowers Art Tutorial. So, paint your field of sunflowers picture and be sure to share with us! Simply tag @hodgepodgemom on social media, send a photo via the Hodgepodge contact form here or post on the Hodgepodge Facebook page. We will be sharing these via the Hodgepodge instagram or on our Art Tutorials Showcase Pinterest board – or both! Nana will even comment on a few I am sure! Do you and your child find it easier to learn with a video tutorial? You will be happy to know that we have a video art course for all ages! Be sure to subscribe to our Hodgepodge YouTube channel so you won’t miss any free art lessons!